Dragon Heated Benches have been successfully utilized throughout the NFL to provide the ultimate in sideling heathing. More Comfortable --- These benches are designed for ultimate comfort for the players in harsh winter weather. Heated Foot Deck - Holes in the deck, which slide out from the bench, provide an upward blast of heat, keeping the players feet warm in all winter conditions. The benches consist of durable and rugged fiberglass that warms up quickly to immediately provide a comfort zone for the players. Heated deck has beveled edges to prevent tripping. skid-resistant surface to prevent slipping. Heat source is a clean burning natural gas or propane. Benches will sit up to six to eight players depending on the size of the players. Portable and easy to move allows quick storage in off-season. Provide a constant flow of warm air to the in side of each helmet, warn enough to keep pads soft without damaging the helmet. Reduce moisture buildup inside the helmets. Multi-station units, one position per seated player. Are available with or without a bench can be retrofitted to your bench. Are insulated for maximum efficiency. Evolution Blue Base Fan-24" portable high-pressure misting system with OSHA guards, 3-speed motor with pull chain switch and oscillator, self-contained mist pump base assembly with wheels and vertical pole mount. Heavy-duty .75 GPM industrial CAT™ mist pump powered by 3/4 HP motor yields 1000 PSI output. Standard garden hose fitting for water supply between 15-75 PSI. Includes 25' outdoor-rated power cord with integrated GFCI. Mist pump assembly is housed in a galvanized steel enclosure with a blue, textured powder-coat finish; two stainless steel latches enable easy access to the interior components via the hinged lid. Fan with totally enclosed, ball bearing, permanently lubricated, permanent split capacitor motor is UL 507 rated and includes white powder-coated steel guard and blue mist ring with eight .008 nozzles. Evolution Blue Satellite- Satellites are used to expand the basic minimum system of one portable pump base unit with onboard misting fan to a system incorporating up to three misting fans that can operate simultaneously. A satellite unit consists of a vertical pole mount with integrated handle on a base with two eight-inch all-terrain pneumatic wheels for ease of mobility on any surface, one fan and one mist ring, and the hardware to complete the assembly. Unit ships in three cartons; (1) fan and mist ring, (1) base with wheels; and (1) vertical pole mount. FAN with SHROUD 24" 30"
A (height and width) 263/4" 323/4"
B (depth front to back) 20" 20"
Shroud alone is 9" wide. Versa Fog- High-Presure Misting Fan is specifically designed for misting large areas, its reach of air movement is 75 feet ways and it mists an area up to 1,750 square feet. These heavy-duty High-Pressure Misting Fans have been used for industrial plant misting, storage unitmisting, outdoor cooling misting, patio misting, beach event misting, concert msiting, poolside misting, animal misting, fair and festival misting. If you have any questions please call Big Fogg Misting Systems at 888-853-1728. 18" portable, three-speed, self-contained misting fan designed for commercial and industrial use. Mist pump rated for one gallon per minute output; housed in a heavy-duty enclosure with power cutoff tip switch. 10 gallon water reservoir tank. Fan assembly is UL 507 rated and includes white powder-coated steel guard mounted on a yoke attached to the pump enclosure, and mist hub with four .012 nozzles. One extra nozzle and two plugs also included. Inflatable Misters Misting Systems that are incorporated inside of a Misting Inflatable’s are a fun, easy and inexpensive way to provide outdoor cooling at events, concert and summer parties. Chill Zone sells a large variety of misting inflatable. Use your imagination to design an inflatable and Chill Zone will make an effective outdoor cooling unit that can be used at any event. Misting Inflatable can come with either High-Pressure or Mid-Pressure Misting Systems depending your needs and requirements. Misting systems are most commonly defined as a series of specially mist nozzles placed in a line around the perimeter of an area. When connected to a high pressure misting system pump, water is forced through the specialty nozzles and quickly atomized to droplets as small as 5 millionths of a meter (5 microns). Misting systems will produce billions of tiny droplets every second. If these droplets are introduced into an outdoor area, they quickly evaporate. This process of evaporation requires energy to be completed. The energy is taken from the air in the form of heat. The result is a temperature reduction of up to 35 degrees Fahrenheit, depending on the ambient temperature and the relative humidity of the air. This method of temperature reduction is the most common use for all misting systems. Radiant Sideline heaters -IRLens is an exclusive, unique and patented "lens" that is fitted on all Chill Zone Misting Systems radiant heaters. The revolutionary design of the IRLens captures the majority of the infrared wasted by ALL other heaters on the market and FOCUSES it on a targeted area or zone...thus spot heating it! As a result, the heaters can increase delivered heat by 300-500%. Creates sharp edges between heat and no heat - you don't have to heat areas that don't need it. An evaporative cooler is a device that cools air through the evaporation of water. Evaporative cooling differs from typical air conditioning systems which use vapor-compression or absorption refrigeration cycles. Evaporative cooling works by employing water's large enthalpy of vaporization. The temperature of dry air can be dropped significantly through the phase transition of liquid water to water vapor (evaporation), which can cool air using much less energy than refrigeration. In extremely dry climates, evaporative cooling of air has the added benefit of conditioning the air with more moisture for the comfort of building occupants. The cooling potential for evaporative cooling is dependent on the wet bulb depression, the difference between dry-bulb temperature and wet-bulb temperature. In arid climates, evaporative cooling can reduce energy consumption and total equipment for conditioning as an alternative to compressor-based cooling. In climates not considered arid, indirect evaporative cooling can still take advantage of the evaporative cooling process without increasing humidity. Passive evaporative cooling strategies offer the same benefits of mechanical evaporative cooling systems without the complexity of equipment and ductwork. Unlike portable mosquito control systems which attract mosquitoes into your yard, our system kills all mosquitoes in the backyard through a series of pyrethrum-insecticide misting nozzles. Our automated and permanent Mosquito System, allows you and your family to enjoy a mosquito-free yard all year round. Whether you call them fly control systems, fly spray systems, mosquito misting systems, or automatic insect control systems, Mosquito Misting Systems are eliminating mosquitoes one backyard at a time. Our drum-based misting systems and tankless mosquito misters are made in the USA and manufactured from the highest quality parts and materials. We offer unparalleled quality, an industry best-in-class warranty and peace of mind to the homeowners who have purchased our quality mosquito misting systems. Portable AC Units-Designed for portability and convenience, Schaefer Portable Air Conditioners roll easily from the shop floor to indoor office areas and set up in minutes. The Schaefer air-cooled portable air conditioner line consists of six models, from 12,000-77,500 BTU/hr. (1-6 tons). Cools Quietly. Cools quietly at office-acceptable sound levels without significant addition to background noise. Ideal for supplemental or temporary cooling in equipment rooms, plant floors or field offices. Featuring backward-inclined plenum evaporator and condenser fans, it operates at the lowest decibel level for portable air conditioners. Cools Efficiently. Schaefer’s portable air conditioners cost less to operate because they draw the least amount of power on a per-ton of cooling basis compared to other portable air conditioners. Just plug in and cool - no special electrical requirements are needed. Most Schaefer portable air conditioner models are single phase (460V 3-phase option on the PAC-TZ60AB460). Built Tough for Rental and Industrial Applications. Durable, rugged design. Minimum maintenance required. Extremely long component life. ProKool evaporative cooling products have 21st century technology that allows them to be used in all climates from the dry heat of Arizona to the high humidly regions such as Baton Rouge. In high humid environments the humidity level in the early morning maybe over 90 percent but as the temperature rises the heat burns the humidity out of the air. How to Choose between a PROKOOL and a WAYCOOL. Both units were developed for different applications. The PROKOOL unit was developed to dispense cold air over a large area. The WAYCOOL was developed covered a smaller more compact area but very effectively. Chill Zone both sells and rents the evaporative cooling products. Please call the outdoor cooling experts at Chill Zone for suggestions and alternatives for which evaporative cooling fan works best for you. Waycool unit - Chill Zone is proud to showcase our line of Evaporative Cooling Products: The WAYCOOL EVAPORATIVE COOLING UNITS have 21st century technology that allows them to be used in all climates from the dry heat of Arizona to the high humidly regions such as Baton Rouge. In high humid environments the humidity level in the early morning maybe over 90 percent but as the temperature rises the heat burns the humidity out of the air. How to Choose between a PROKOOL and a WAYCOOL. Both units were developed for different applications. The PROKOOL unit was developed to dispense cold air over a large area. The WAYCOOL was developed covered a smaller more compact area but very effectively. Chill Zone both sells and rents the evaporative cooling products. Please call the outdoor cooling experts at Chill Zne for suggestions and alternatives for which evaporative cooling fan works best for you. Chill Zone sells designs and builds a variety of Misting Tents including High-Pressure and Mid-Pressure (Premium and Standard) Misting Tents. Our standard Misting Tent Models are 10’ x 10 and come in a variety of colors. Chill Zone also sells High-Pressure Misting Inflatables, Misting Domes and Mid-Pressure Misting Inflatables. An Inflatable Misting Systems’ design is only restricted by your imagination. The pricing for Misting Inflatables or Custom-Designed Misting Tents are dependent on design and structure. Chill Zone offers the highest quality with these Misting Tents and Misting Inflatables. We are the only company that builds its systems in-house and tests them extensively before shipping the Misting Tents and Misting Inflatables to you, the customer. Our Misting Tents and Inflatables always come as a complete package, ready to use, unlike some companies who simply send you the Tent and Misting System and have you put it together and never test it for problems. Own your own tent? Want to make it into a Misting Tent? Chill Zone also sells the Misting Components that will turn a tent you already own into a Misting Tent. Please call for pricing. Need water in a remote location or misting on the sideline of a high school soccer game? This easy to move portable Fifty Gallon Water Reservoir is the solution. 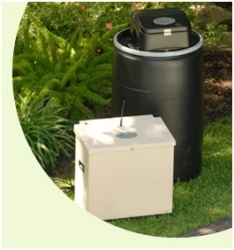 Simply roll out to the location and connect your misting system to the water supply. For most high-pressure and mid-pressure misting applications you will need a sump pump to increase psi level to the pump. This Fifty Gallon Water Reservoir has an easy garden hook-up for either the Pro-Kool or WayCool models. Optional sump pump for higher psi water flow is an additional $129.00 . Easy garden hose hook-up to either the Pro-Kool or WayCool models. At work or play, Chill Zone Misting Systems offers the most effective and affordable misting system technology to keep you comfortable, relaxed and enjoying the outdoors. Chill Zone sells, rents, services and installs the very best and easiest to use misting fans, misting systems, patio misting and industrial misting. We have satisfied the cooling and heating needs of a variety of clients throughout the U.S., from sporting events with the NCAA and NASCAR to restaurants, music festivals and industrial businesses. Chill Zone is synonymous with customer satisfaction and the highest quality cooling systems on the market today. Our unique and comprehensive misting system and misting fan line is designed and engineered for your specific requirements. Utilizing only the highest quality equipment, our skilled staff ensures that all our products achieve the highest level of craftsmanship and performance. 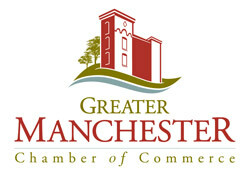 Founded in 2007, Chill Zone has offices in Florida and New Hampshire. Chill Zone now offers outdoor insect control and automated mosquito misting systems. Available as Wall Mount or on portable stand. Chill Zone, LLC has been meeting the indoor and outdoor heating and cooling needs of thousands of customers. Our customers include restaurants, resorts and industrial businesses to residential homes. We’ve supplied portable heaters and cooling fans to the NFL, NCAA, PGA and NASCAR. No matter what the temperature outside, our products can help provide relief from the heat and protection from the cold. We design, build, and install Misting Systems, Misting Fan Systems and Outdoor Heating Systems to meet our customers’ needs. We also provide special effects fogging and mistscaping for fountains, pools and ponds. In addition, our Misting Systems are very effective in increasing humidification in greenhouses, suppressing dust and providing odor control in industrial settings. 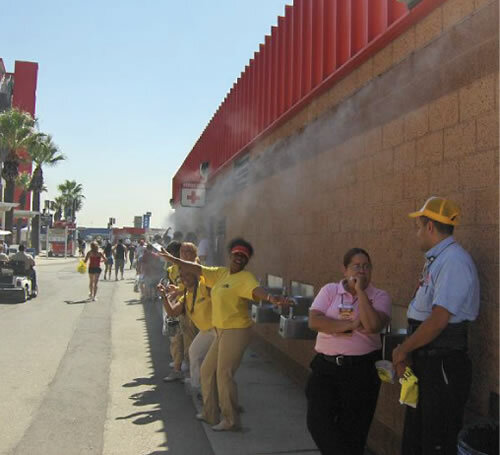 Our patio misters are perfect for restaurants or any situation where keeping patrons both cool and dry is essential. ChillZone, LLC also works extensively with Misting Systems and Misting Fans for Animal Cooling, including livestock, dogs, and kennels. In addition, has heating options including Heating Benches, Outdoor Leisure Heaters, Home and Commercial Patio Heaters for versatility in your outdoor comfort and convenience.